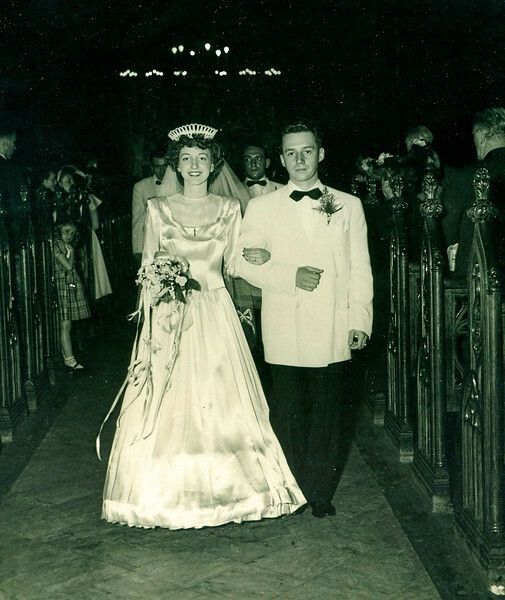 My parents leaving the church at their wedding at All Saints Church, Manhattan, 62 years ago today. My mother sadly passed away in March 2006. They were a beautiful couple. Very nicely presented here. Fantastic image, I know how painful that is. send me an email I have a company you might be interested in. Beautiful - great that you brought it in!!! What a wonderful tribute to your parents. Thank you for sharing. What a lovely tribute to your parents on their anniversary!